My name’s Camila and I’m Brazilian. I live in São Paulo, the most important city of Brazil. It’s a pleasure for me talk (or better, write) to you. I’ve known about you by a famous Brazilian News Site, and I was curious to know more . Let me say that I think your blog (and the practice of charity involved on it) incredible, congratulations. The world needs people like you. 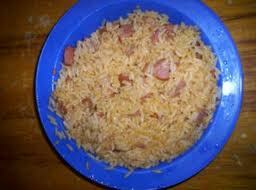 There is no many choices, it’s almost always rice, beans or pasta with some kind of sausage. The taste is terrible, I’m 23 years old now and I still remember the smell of this food. Here we live surrounded of corruption and the powerful people (those of the government) have deals with suppliers who divert part of the payment for your own pocket. The money remainder is used for buy food of lower quality, many times spoiled or out-dated. I’m sorry about my English but I couldn't leave the opportunity to share this with you. I hope you can improve the situation of school dinner in your country and in other places of the world (maybe till here) Thanks for be so kind and thanks to your father for help and support you on this mission. 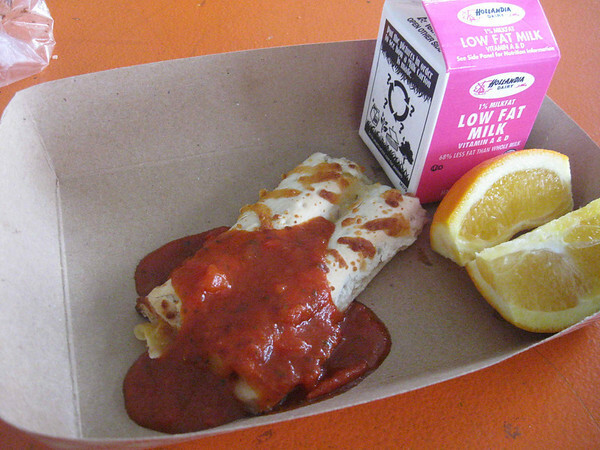 Below there’s a picture of an example of what is served to our alumni just to illustrated or situation. Believe, our children eat this every day. Really looks like delicious, don’t you think? We think your blog is great. 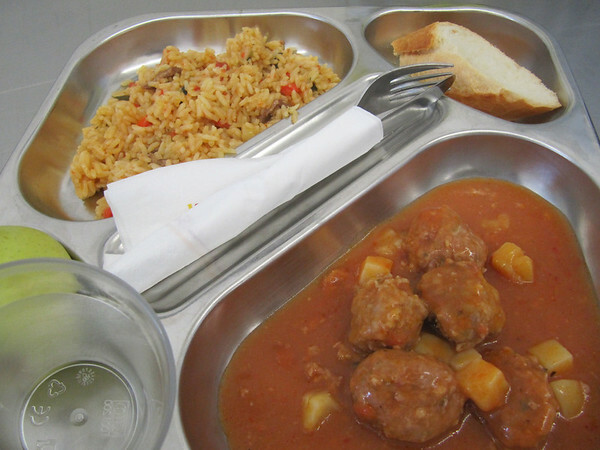 School meals have still got a long way to go and you have done so much to keep them on the agenda, as well as doing so much for Mary’s Meals of course. I am a Mum of two daughters, 10 and 13, and I have been very impressed with your writing. It is always accurate, engaging, appropriate and thoughtful. Many adults could not write as well as you do. 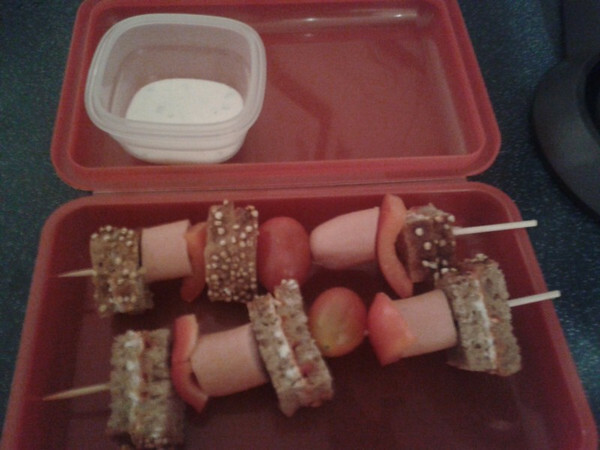 I am sending you a picture of MY lunch today. My daughter’s high school has a week when parents and grandparents can come to school and have lunch with their daughter/granddaughter. It’s a great idea because not only do I get a little peek into her world but I get to see what is really available in the dining room. Sorry it’s not a great picture, I was trying to take it without being noticed. 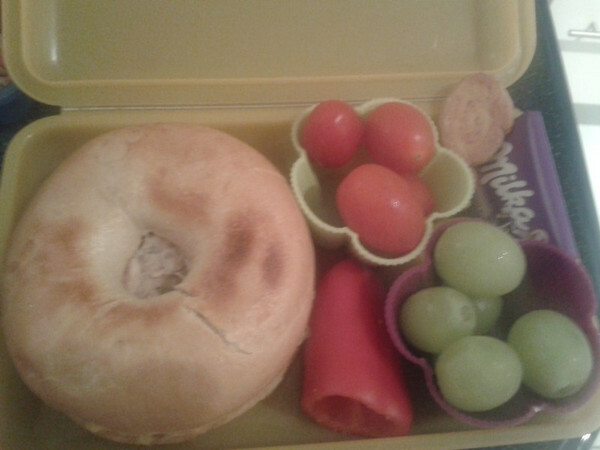 I chose a sub (bread roll) because that was what my daughter was having. There were also hot meals, sandwiches and a counter where you can choose from different fillings and breads. 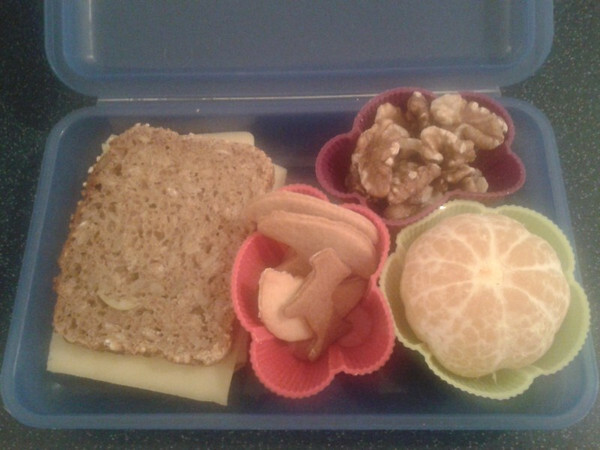 For pudding there are fruits, yoghurts, a hot pudding and tray bakes. You pay per item so it is up to you what you have and how much you pay. It amuses my daughter that the pupils pay less than the teachers because they do not have to pay VAT. I chose a spicy bean burger sub with chilli sauce and cheese. Salad was included which I thought was good. For pudding I had shortbread. The food all looked nice and was hot. My bean burger was tasty, but not spicy, and the shortbread was just right, crispy outside and soft inside. I bought a bottle of fizzy water for an extra 80p but then found out there was a water dispenser. I didn’t like not having a plate but the subs come in a clever envelop that opens out to eat from. It was hard to see everything that was available and make choices quickly in a busy environment. I would have liked to see more brown bread, more vegetables, nicer fruit and more salads but my daughter tells me that sadly they would not sell. I think all schools should invite parents in to their dining rooms every now and again. This Thursday in America we celebrated Thanksgiving. It's what you would call a bank holiday, a harvest holiday, where family and friends get together to give thanks (and eat!). My friends and family were devastated by Hurricane Sandy, some of my friends lost their homes, and my mother was without power for two weeks. I live in Jersey City (how many seconds? I'll give you a hint, we're a five minute train ride from one of the biggest cities in the US) (Took me 13!) and there was flooding up to about four blocks from me, but we only lost power for two days. I have been volunteering to help out with the people who lost everything. 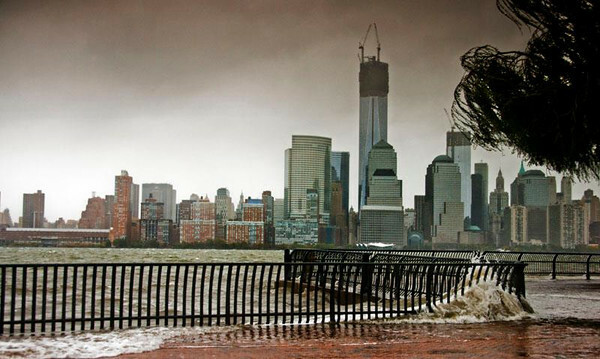 My friend Jeremy took the picture of the Hudson River the morning before Hurricane Sandy hit. During high tide, the Hudson River is usually about 8-10 feet below the waterfront walkway. You can see the Freedom Tower and lower Manhattan across the way. Although every family has their own Thanksgiving traditions, there are most traditional ones that most families adhere to, such as turkey, [american] football and the Macy's day parade. The parade is usually very touristy, with gigantic balloons that can take about 50-100 people to hold. Although it's a short train ride, we usually watch it on TV. I've been hosting Thanksgiving for the past couple of years, so I do all the cooking. Although I'm a vegetarian myself, my family and friends are not, so I do cook a turkey. However, every other food I make is vegetarian. Around Thanksgiving, if you spend a certain amount of money at the supermarket, you qualify for a free turkey. I qualified for two! I donated one turkey to a relief group who was cooking Thanksgiving dinners for families displaced by Hurricane Sandy and one to our local shelter. 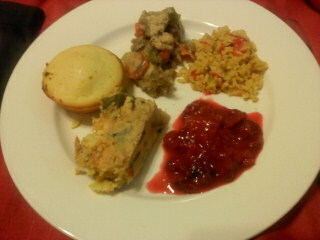 The plate pictured is my plate, which is why there is no turkey on it. Vegetarian stuffing: Stuffing is also a Thanksgiving staple. Some families stuff the turkey with it, but it wouldn't be vegetarian that way. Stuffing is usually vegetables, croutons and some broth, some people put chicken or turkey in it as well. Mine is made with portabella mushroom soup. Rice pilaf with red peppers and roasted pine nuts: My family always serves rice at every meal. Cranberry sauce: Also a thanksgiving staple. In this country a lot of families buy gelled cranberry sauce in a can from the supermarket. The gelled cranberries have a texture like jell-o. Growing up, my mother always cooked from scratch, so my siblings and I don't like things like gelled cranberries. Squash casserole: Since squash is considered a harvest food, it's pretty traditional to have some sort of squash dish on the table. I used yellow squash and zucchini. I also served candied yams and broccoli rabe. As I'm not the biggest fan of yams, so I didn't have them on my plate, and the broccoli rabe I forgot to put on my plate before the picture. After a football break, we had dessert. 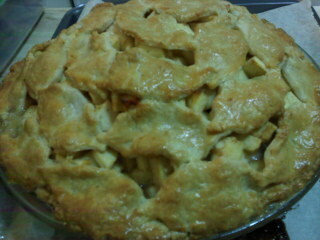 I served, apple pie, one of my favorite desserts! I tried to make a leaf pattern, but I'm not sure if anyone could tell. 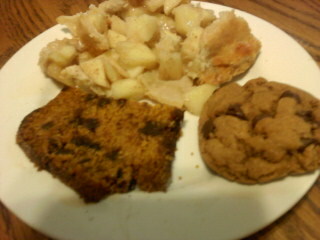 I also served chocolate chip peanut butter cookies and chocolate chip pumpkin bread. My boyfriend loves dessert, as seen by his plate, and tried everything. Mouthfuls- We forgot to count! 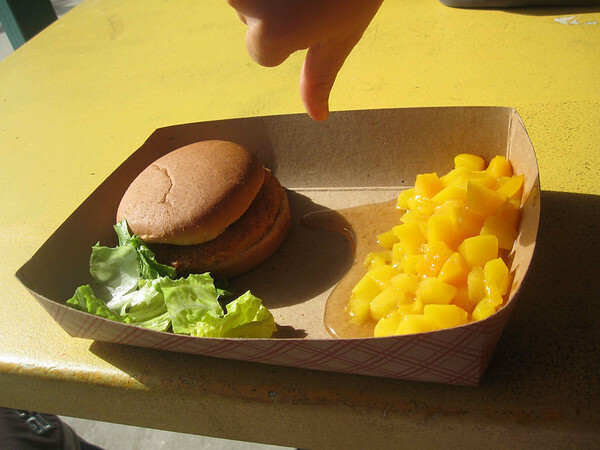 Not everyone had dessert or tried everything served, so that's why we rated it separate. Happy Thanksgiving to you and your friends! Thank you Tab. I think I understand Thanksgiving better now. You care and you share. I hope you had a lovely day. 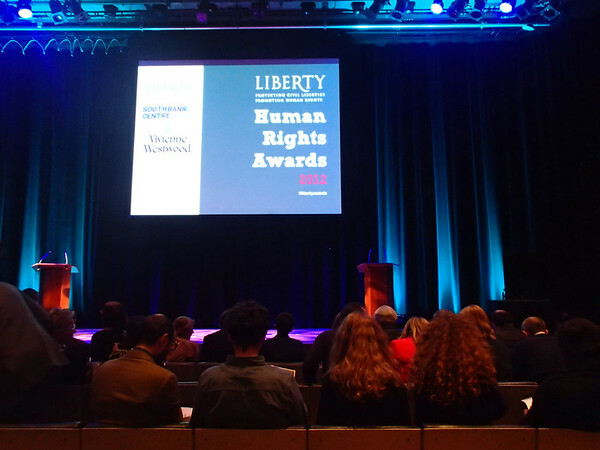 I have not written about my trip to London for the Liberty Human Rights Awards before because I didn't have a photo to show you until today. I went to London on the sleeper train which was very bumpy. I enjoyed parts of the night but i got on it very late after my bedtime and so I was awake when I should have been asleep. 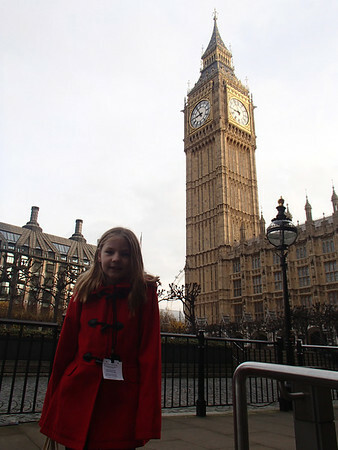 In London we went straight to the Palace of Westminster. Lord McConnell of Glenscorrodale arranged our visit. 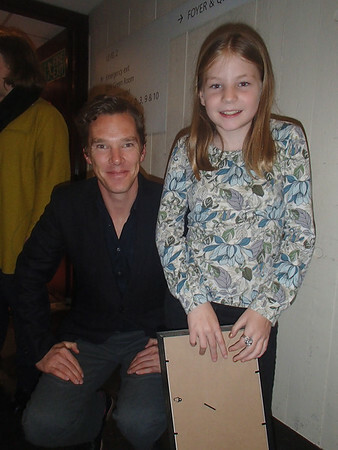 He's a big Mary's Meals supporter and it was very kind of him. I learnt that Lords can pick where they are 'Lord of' and Glenscorrodale is on Arran and I can see Arran from my bedroom window. You can see my security tag in the photograph. The tour was brilliant but I didn't understand all the history between Scotland and England. The rooms are beautiful but you must not sit down when visiting the House of Lords or the House of Commons. I leant on the dispatch box in the House of Commons and pretended to be Prime Minister! You can go to the lobby and ask to see your MP and they must come and see you if they are there. I didn't try asking for my MP, maybe next time. 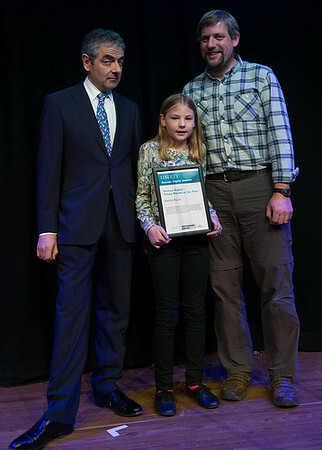 The Liberty Awards were in the South Bank Centre in the evening. It's always hard when you arrive because you don't know anyone and everyone else is an adult. 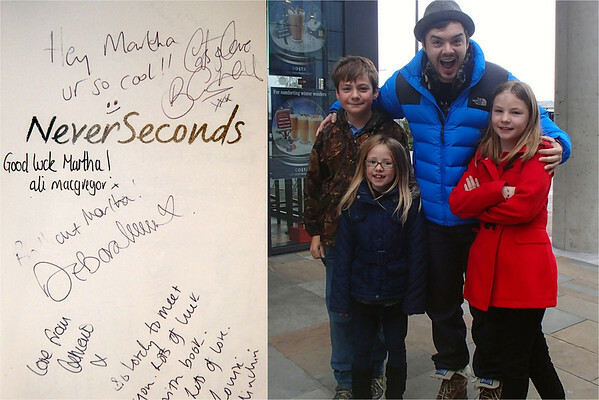 Loads of people came and said hello straight away though and were really kind. It was brilliant. The BBC came as well and asked me some questions at the start. I don't think Liberty agrees with the Government all the time. A man called the Attorney General said it was important Liberty kept asking questions. I didn't understand every award winner but I some I did. Some people had been fighting for fairness since before I was born. That's a long time. I am very proud of my award but I don't want to sound big headed. We had to get the sleeper straight home afterwards but I met an actor called Benedict Cumberbatch and I asked him and Shami Chakrabarti who is in charge of Liberty to sign my copy of our book. Going to the Houses of Parliament and the Liberty Awards on the same day was a great experience and it has left me thinking why we need both. I work as a cook in a school of Barcelona. It is a pleasure for me to show you what we have prepared this week. I prefer not to tell you my name because I’m not sure that I’m allowed to take pictures of the meals. On Monday we made fusilis with tomatoe sauce and cheese. 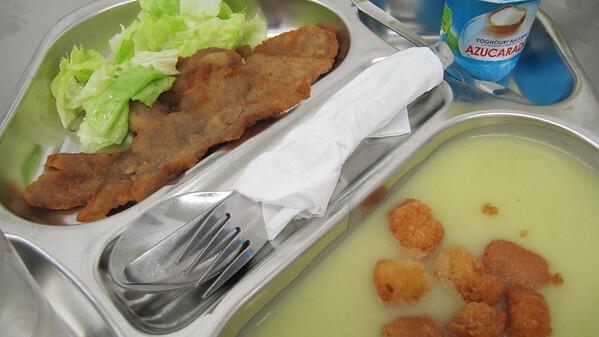 For second course we made deep-fried fillet of pangassius and salad. 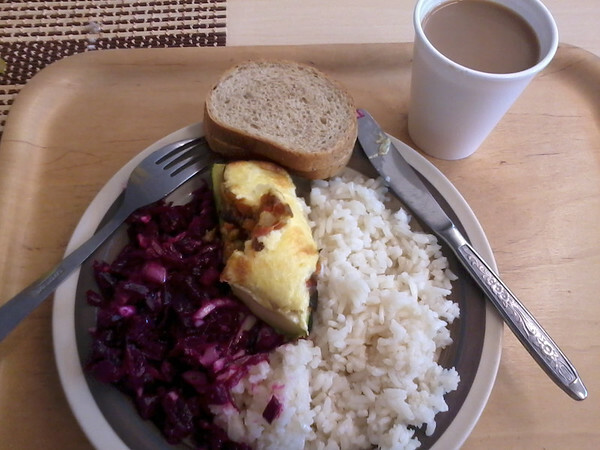 On Tuesday we made lentils for the main course and potatoes omelette for the second course. But I didn’t remember to take photos of them and only I can made the photo of the egg-allergic menu: hamburguers instead of omelette. On Wednesday we made zucchini cream with “tropezones” (deep-fried bread cubes) and for second course scallop with lettuce. Actually I must have cooked grilled pork tenderloin, but due to a strike the pork tenderloin did not arrive on time. 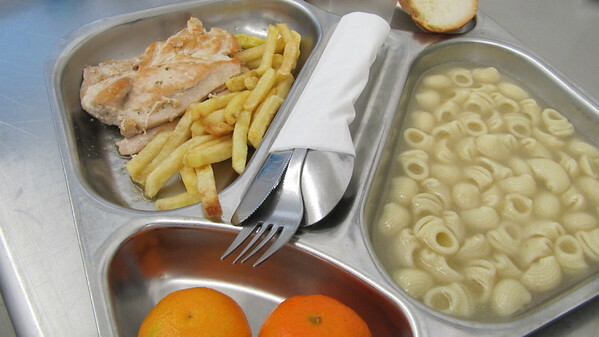 On Thursday we made “escudella soup” (a typical Catalonian soup) and for the second course chicken breast grilled with french fries. 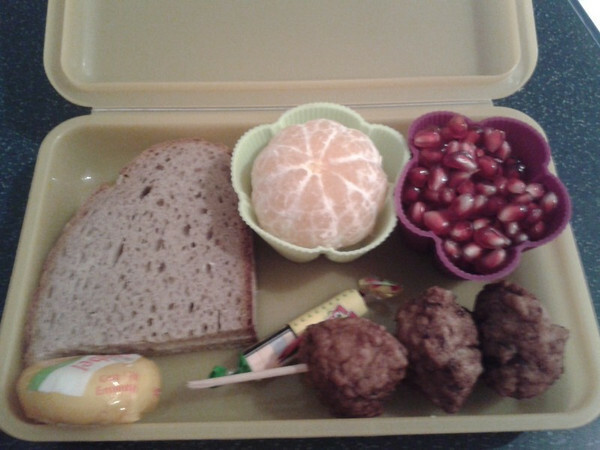 On Friday we made rice with carrot, zucchini and pork loin, like “paella style”, and meatballs for second course. For the dessert we usually have fruit (apple, orange, clementines, banana, pear, peach in siroupe, melon and watermelon) and some days yogurt. The bread is from a bakery, and it’s great. And the water is bottled because the tap water it’s not very good. The price is around 6 euros, and some children have public aids to reduce this price. I send you greetings from Spain and congratulations for this blog. Thank you Ian for your dinners from San Diego (38s, I am out of practice). I have never seen trays like that before and it must be very strange to use them. I do agree with your scores though. 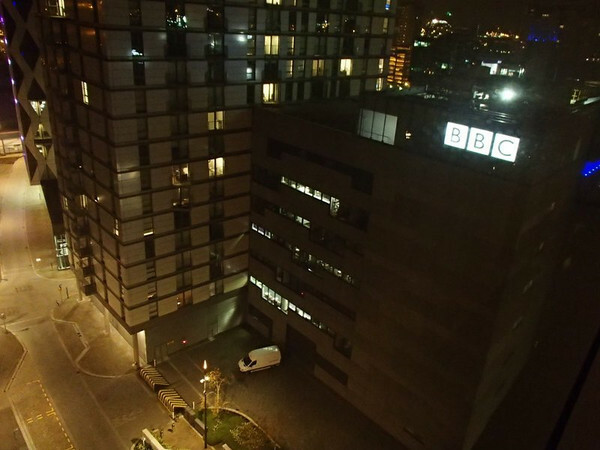 On Wednesday my whole family went to Manchester to Media City where the BBC make television programmes. 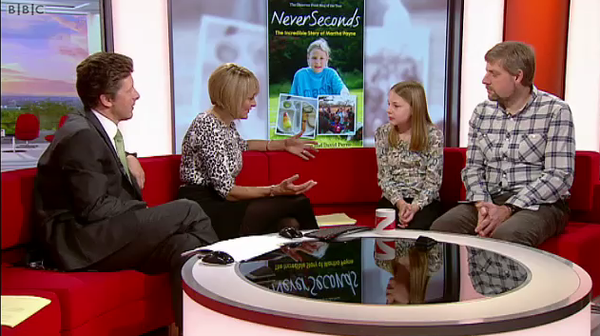 We went because we launched our book on Thursday and we were invited by Louise who came to our house with The One Show. Louise and Charlie were really nice and it was easy to chat to them. 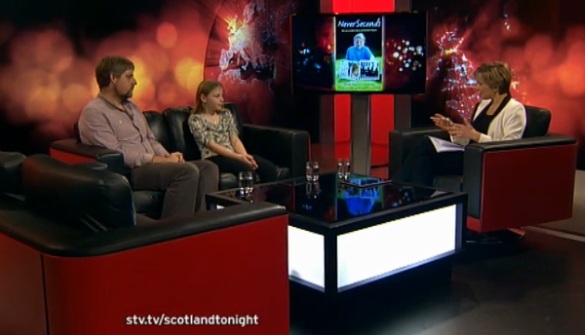 They showed a clip from Malawi and Dad and I sneaked onto the sofa when it was on. That's how they do it. I didn't watch it because I don't like seeing myself. Louise met us after the show but I didn't eat in the BBC canteen so no photo and rating! 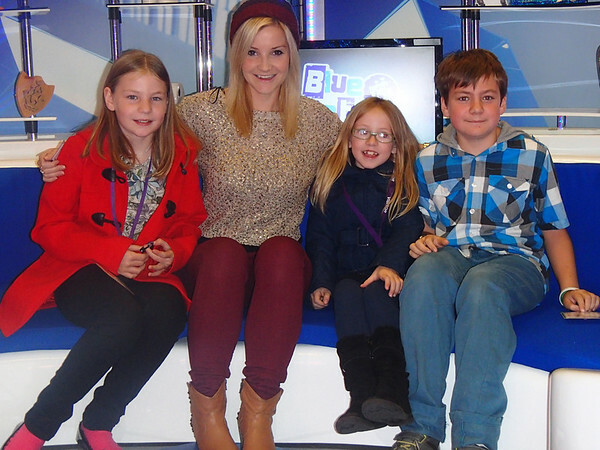 She took us to meet Helen Skelton from Blue Peter and Barney the dog. He is very cute but he has small legs. I think his legs look longer on television. You can see we all had to wear a pass with our photo on to go into the buildings. 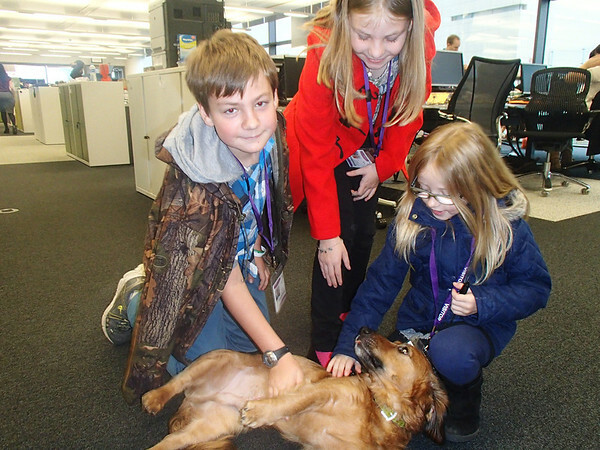 Helen took us all to the Blue Peter studio. There were so many lights above you that you couldn't see the ceiling. When we were going we met Barney the other presenter outside. He signed my special copy of my book. Barney said he did a portrait but it was just two dots and a line! Travelling in a car when it rains makes me sleepy and I slept on the way to Glasgow. Journalists came to meet us in a cafe in an arch under the railway and we also went by taxi to the STV studios. Dad had to wear more make up! I signed some books for Rona and you can see the interview here. We filmed it in the afternoon but I was in bed when it was on. 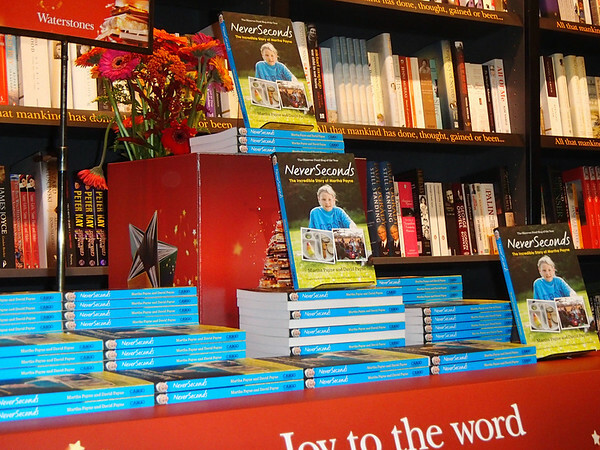 Here are some of our books at the book launch. I signed a lot of copies and thank you to everyone that came. There weren't many left at the end of the night. Our book is going to be in WHSmiths across the UK, Waterstones in Scotland and independent bookshops everywhere. I think we broke Amazon by selling out but more copies will be there tomorrow and the printers are making more today. It went into the top 200 on Amazon. You can also get it on a Kindle from Amazon websites all over the world but my favourite is in Japan! 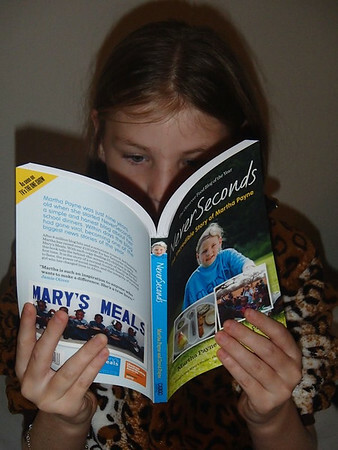 It doesn't matter where you buy our book every copy gives children 25 meals in Malawi and that's why we wrote it. 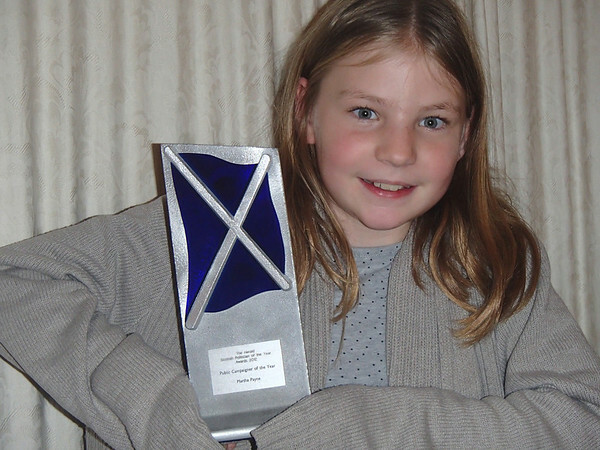 When I was in Glasgow my Aunt and Uncle went to the The Scottish Politician of the Year awards. I won an award for best campaigner which I want to share with all of you and with the children at Lirangwe School. When I do interviews I am always asked about the children at Lirangwe school singing. It is not something I will forget. Hi Veg, It’s Ian, i’ve come back again. Today I ate something again totally different. Today I was first in line so I got to pick what I really wanted. Right now, I’m eating some mozzarella bread sticks and marinara sauce, orange slices and milk. It’s actually pretty good. 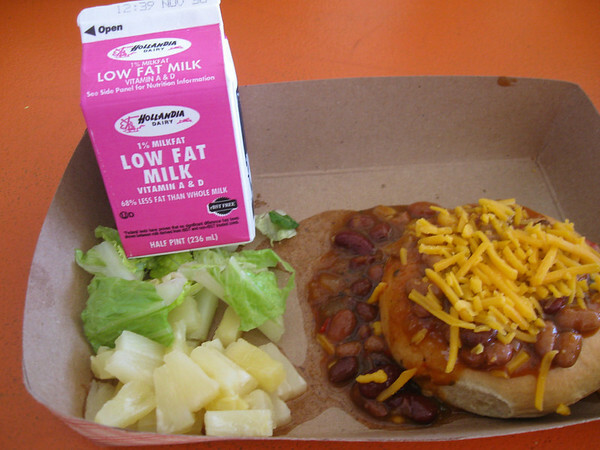 I think it was the best school lunch. Why do we have a paper box for lunch? 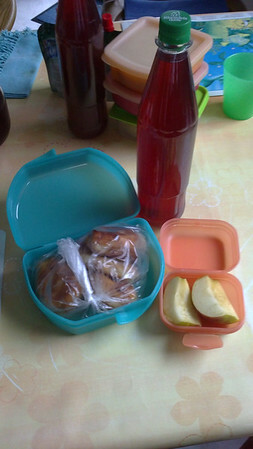 Because, my mom also helped to banish styrofoam lunch trays. Our school is part of a pilot school of San Diego Unified School District to use these cardboard boats and recycle them instead of throwing the styrofoam trays away. We have about 1 bag of trash from lunch each day instead of 15 bags. The students also compost and recycle the milk cartoons. 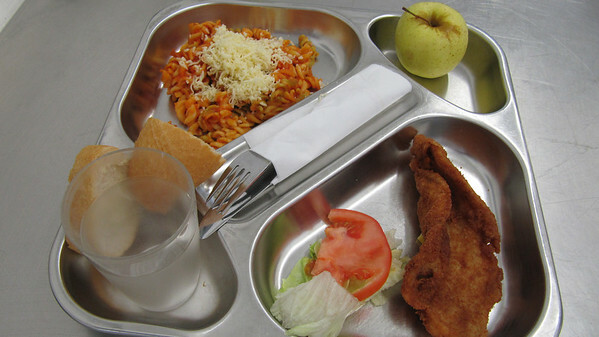 We really wish the kids had real trays, forks, cups and a dishwasher like they do at your school VEG. Hi Veg! It’s Ian again. Today I ate something totally different. Today I wasn’t that late for lunch so I got something decent. Right now, I’m eating a chicken sandwich, some canned peaches, lettuce and drinking low-fat milk. There isn’t any longer chocolate milk at school because my mom and other parents requested that they not serve it and the principals agreed to banish it from our school. The lettuce was a 10/10 with no dressing. 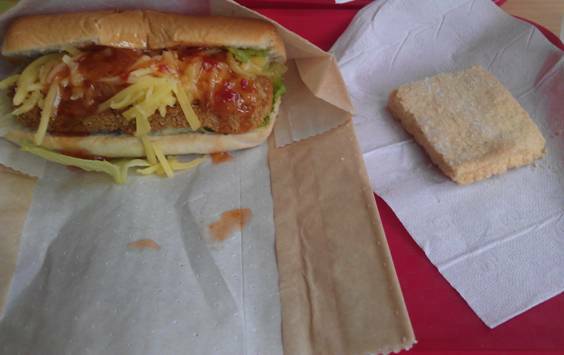 The chicken inside the bun tasted like the same chicken nuggets. They didn’t taste like real chicken. I could have tried a beef gordita or a sunflower jelly sandwich on goldfish bread whatever that it. Didn't taste like real chicken. My name is Ian and I’m from San Diego, California. 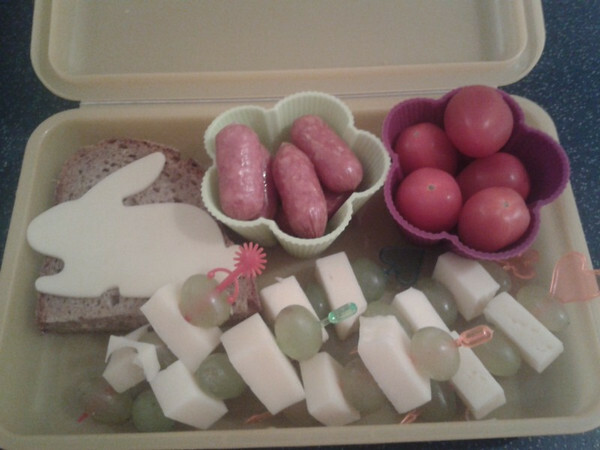 Usually my dad makes my lunch, but this week we did something different. 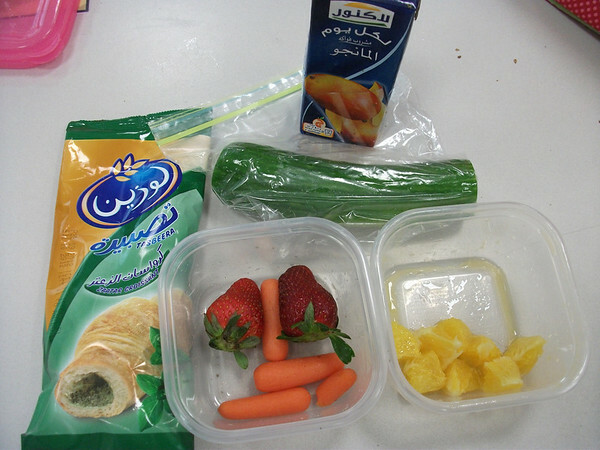 Today I ate school lunch. There was no lunch line because I was late for lunch because I stayed at my table too long so I didn’t have to wait in line. 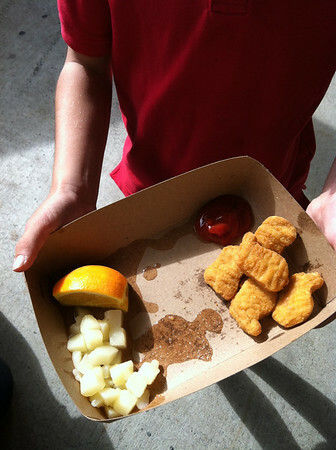 I ate some ketchup, chicken nuggets, canned pears and 3 orange slices. The chicken nuggets were cold and the only choice to eat left. If you would say, “Is this food weird?” I would say yes. They didn’t even taste like real chicken! The orange slices were fresh like just pulled off a tree. The pears had added sugar. They tasted really, really good but would rather had fresh slices. I ate it all. Yesterday was 'I am Malala Day' and I spent a lot of time thinking about her. I am glad so many people have signed the petition. I have. I hope it works so no one else gets hurt because they want to go to school. Malala Day from Education Envoy on Vimeo. Today was Remembrance Day and I went with the Brownies to the special church service and to lay a wreath. It has been a weekend full of thinking. 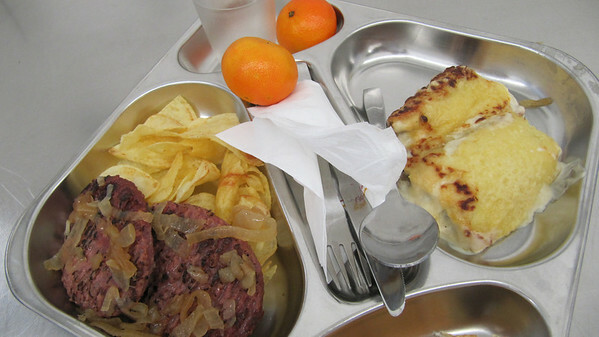 I have written some ideas about school dinners but it can wait. 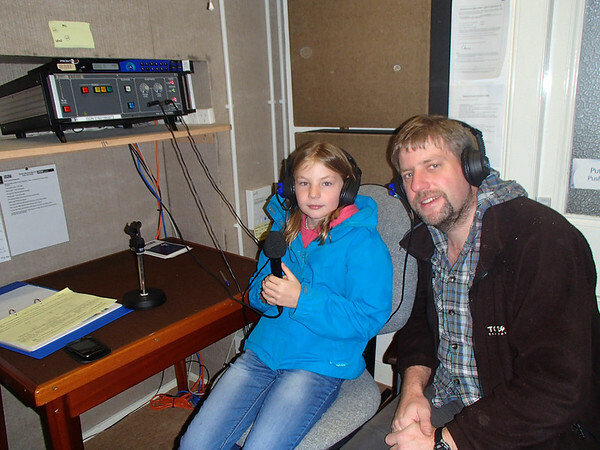 On Wednesday we went up to the BBC Radio studio in Oban. It's in a small room off a close and you collect a key from a hotel then let yourselves in. 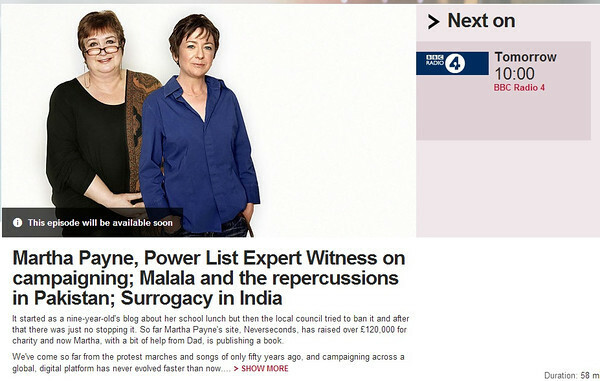 We chatted to Dame Jenni Murray. We were incredibly nervous and it probably will show. 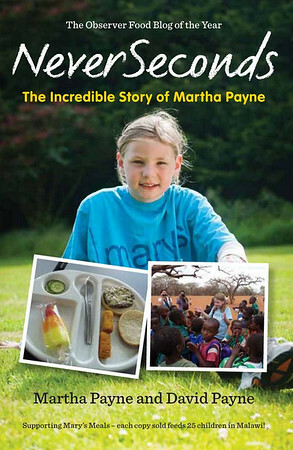 Martha talked about her blog, Mary's Meals and Malawi. We forgot to mention our charity book again though! We aren't very good sales people. Hope you get a chance to listen! My name is Eryn and I am a 12-year-old girl from Oregon, USA. We went travelling for the summer. 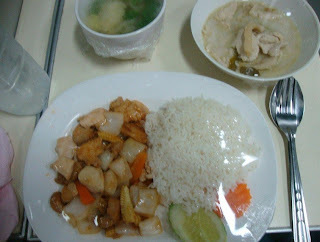 This is a meal we had on the train from Bangkok to Chiang Mai, Thailand. The meal was very good, but the picture isn't because the train was moving. 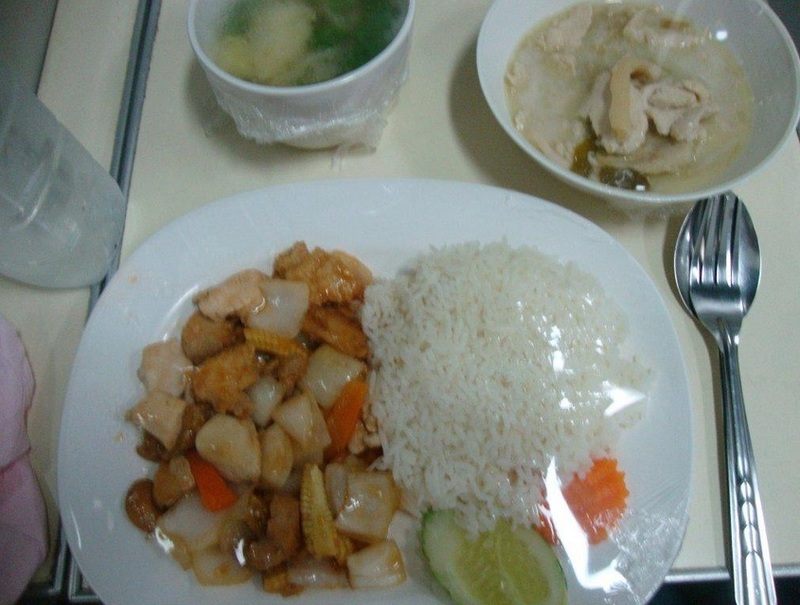 At the front is the sweet-and-sour chicken, onions, and corn, rice, and a slice each of cucumber and carrot. At the upper right-hand corner is the slightly-spicy chicken curry with garlic in it. In the other corner is the clear soup, which had white seaweed, chicken, and herbs in it. For dessert we each had three small slices of pineapple. Sorry about all the glare, but because we were on a moving train everything was covered in Saran wrap so it wouldn't spill everywhere.